Ruby had been on antibiotics for an upper respiratory infection, but as I suspected, that infection was just secondary to something more ominous. She went in on Friday, because while her nasal congestion had cleared up, her overall condition had not improved. She was losing weight (went from 530 to 500 grams in two weeks); her sides were starting to have the sunken appearance that I associate with terminal conditions; she would still eat, but wasn't particularly interested in her veggie breakfast; and she was more withdrawn than usual. The most obvious symptom, however, was the exaggerated in-and-out motion of her sides as she took each breath. It was clear that it was difficult for her to get enough air (although there has been no gasping for breath yet). Two weeks earlier, when she was examined, her lungs sounded good. This time, the vet could clearly hear some dead spots. That is the first clue that tumors have invaded the lungs. In the past, we did x-rays to confirm this finding, but this time the vet was convinced by what she heard with the stethoscope, combined with her family history for this problem and the fact that antibiotics weren't helping. So now Ruby is on steroids. The first few days, I didn't notice much improvement. Since then, she has perked up a bit, is more interested in breakfast, and is just looking healthier overall. I know this is just a temporary reprieve caused by the steroids, but I am relieved that she seems to be feeling better and that her more active temperament has returned for the moment. 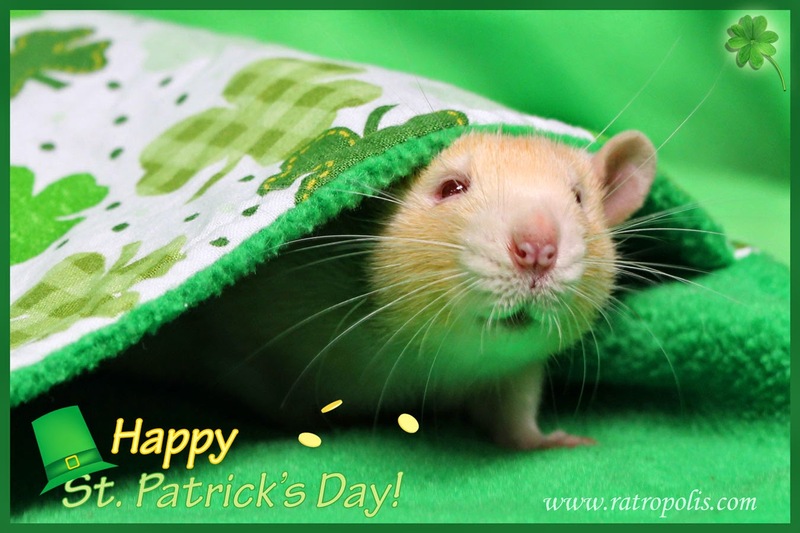 Want to buy a cute rattie t-shirt and help out a rat rescue at the same time? The Central Texas Rat Rescue is hosting a t-shirt fundraiser through Booster.com to make money to help the rescue. The fundraiser has already met its minimum purchase, so the t-shirts will definitely ship if you order. The t-shirt is available in maroon (above), black, navy, and pink (azalea), and is available in both youth and adult sizes. A week ago Thursday, Lilly was spayed (everything went great and she is now back with her boys). Friday, Ruby saw the vet for shallow, rapid breathing. Her symptoms were similar to her sisters' symptoms when they passed (one from a lung tumor and one from internal abdominal tumors), and I feared her time was coming. She is nearing her 2nd birthday, and so age is a factor in her health. Turns out, she just has a little upper respiratory infection and her lungs are clear, so she is being treated for that. I am still nervous there may be something else going on in the background, though. I realized, when scheduling her appointment, that Ruby has never been in to see the vet. That is a record for us so far - getting to (almost) 2 years old without a health issue. (Burt is doing pretty well himself: he has seen the vet for abscesses and a neuter, but he has never been ill). However, with so many rats in our present and our past, it is getting hard to keep track of their medical histories in my head alone. I obviously know the significant issues, but some of the little stuff can be easy to forget. I needed to start keeping records. Keeping records is useful for a variety of reasons. First, it keeps track of the medical history of each rat. When I take them in, I can remind the vet of past health problems and what has worked and what hasn't. Granted, the vet has access to that information, but she sees a lot of animals and will not be as well versed in my particular animals as I should be. Second, it helps me keep track of everyone's ages (birth dates if known) and when I adopted them. It used to be easy for me to remember this, but now I struggle. Many of the birth dates are estimates (I tend to estimate birth dates as either the 1st or the 15th of the month). To figure them out, I would have to remember when I adopted the rat and how old they were estimated to be at the time. Ages are important to know - at least roughly - because age can factor in to treatment options. Some medications are dangerous for younger rats. 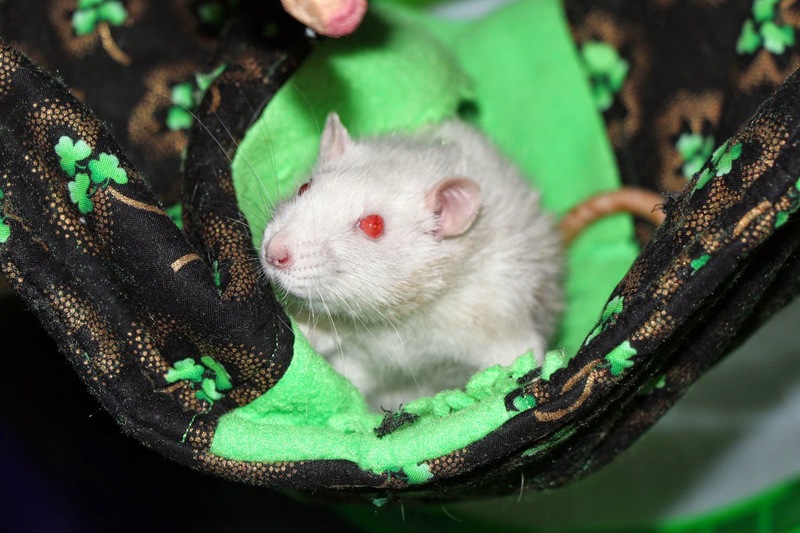 Some procedures carry higher risks for older rats. Third, it can help me analyze trends in my rats. Do certain problems run in families (related rats)? How common are certain diagnoses in my rats (or rats in general)? What are common causes of death? How long do my rats live? I know the average age is 2-3 years, but I have had a number of rats that didn't make that potential life span. Not because of quality of care, but because of unavoidable health problems that are most likely genetic in origin (pituitary tumors and lung/internal tumors being a common cause of death). Fourth, it can help me track their weights/weight gains/weight loss. The vet weighs the rat at every appointment in order to identify health issues pertaining to weigh loss/gain as well as to determine medication dosages. By keeping track of past weights, I can check for significant weight loss if one of my rats doesn't seem quite right. 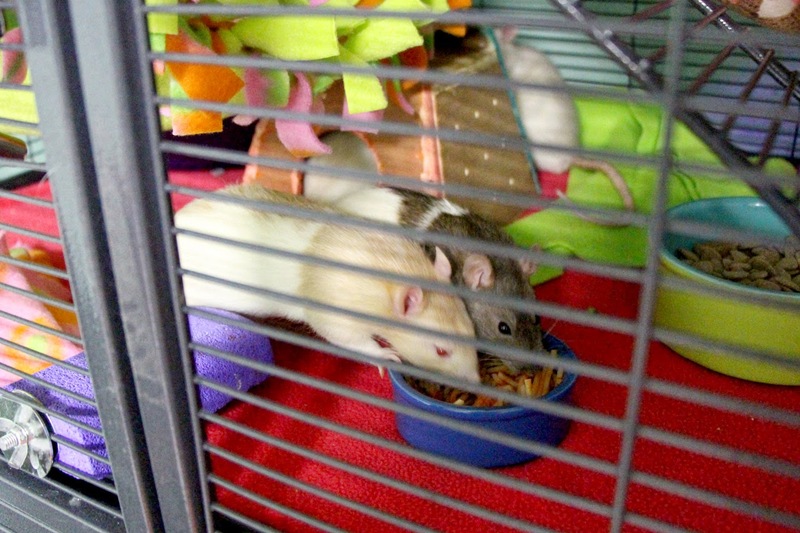 One of the first signs of illness can be a lack of appetite, and while I definitely notice if they do not come out running for breakfast, the first sign is often a rejection of their rat block, which can be difficult to notice if they are living with other rats. Finally, it can help me keep track of what meds were used and how effective they were and what dosage was prescribed. It can help me monitor which meds work for what condition in which rats and which meds have been less effective. I have created such a spreadsheet for each living rat that has seen the vet so far. Fortunately, my vet allows me to access some records online, so I could lookup dates and weights at various appointments, along with the meds that were prescribed. I do not have access to the records of the deceased rats, so I will have to record this info for all rats going forward and accept the loss of data for the previous rats. Keeping records is a great way to assess the overall health of your rats, past and present, and to recall specific medical information, including dates and weights, that you may forget over time. Over time, I will be able to better answer questions like the following based on my own experience (which may or may not be typical): How often are rats likely to need to see a vet in their lifetime (avg, median, mean)? How likely are they to develop a respiratory infection? How likely are they to die from xyz? How common are tumors? How old do rats with xyz condition live on average? How does spay/neuter affect likelihood of developing xyz or life expectancy? Granted, my data will not be of large enough sample size to be scientifically useful, but I still find anecdotal information to be helpful.